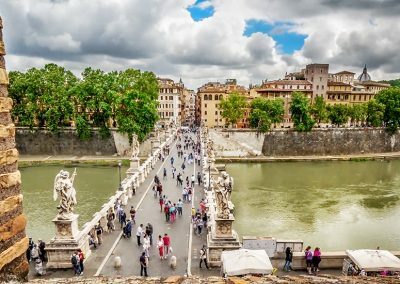 The West bank of the Tiber is universally known for the presence of the Vatican City, or “Città del Vaticano” in Italian, the official residence of the Pope, and for the stunning St. Peter’s Basilica. The Vatican city is an independent state, with an area of approximately 44 hectares and a population of 1,000 inhabitants. Hence, the Vatican City is the smallest country in the world both by area and population. The borders between the Vatican City and Rome are set by tall walls that run along the perimeter of the city. 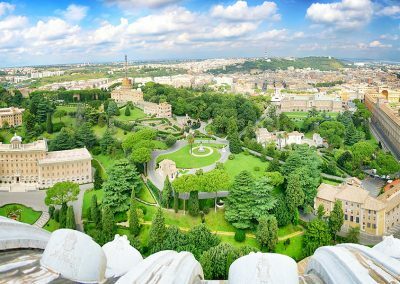 You should think about the Vatican City as an enclave within the city of Rome, close to all Rome’s main attractions! That said, the area surrounding the actual Vatican State is much bigger than the little state itself, and features impressive artworks, trendy clubs, cafes, restaurants and shops. 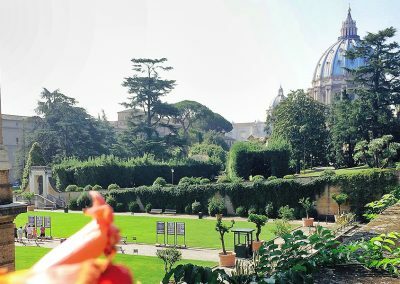 No doubt that a visit to the Vatican City Area is a “must” during every trip to Rome. The stunning St. Peter’s Basilica, the birthplace of Christianity, is the very symbol of the Vatican City Area, built to commemorate the tomb of St. Peter, the first Pope in history, whose remains are kept under the main altar of the Church. 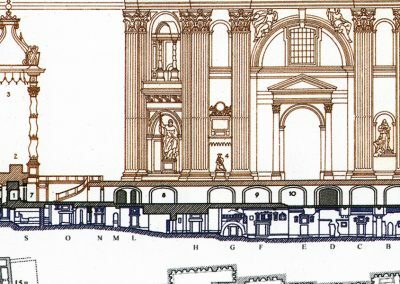 From the mid 15th century, after the Vatican City was moved from the east side of the Tiber, close to the Colosseum, to its current location on the opposite side of the river, the Vatican acquired a new institutional role and became a princely residence. 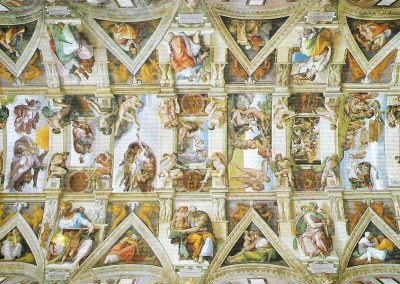 Famous architects and artists such as Bramante, Raphael and Michelangelo came to Rome to work for the Popes and designed priceless masterpieces. 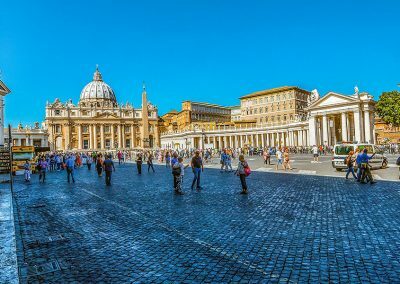 Don’t miss the the famous Dome and St. Peter’s Square! Over the centuries, beautifully decorated palaces and gardens were built all around the main Basilica. Today these beautiful buildings and the gardens can be partially visited through the Vatican Museums, following an itinerary along more than 5km of galleries! 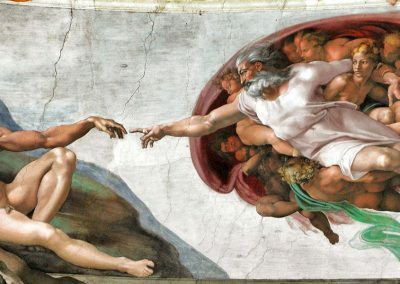 In the Sistine Chapel you will admire firsthand the famous Vault painted by Michelangelo between 1508-1512 and the Creation of Adam. The Vatican City Area is linked to the Tiber by a huge monumental street, called Via della Conciliazione, built in the first 1920s in place of the quarry of alleys and little streets that characterized the area. 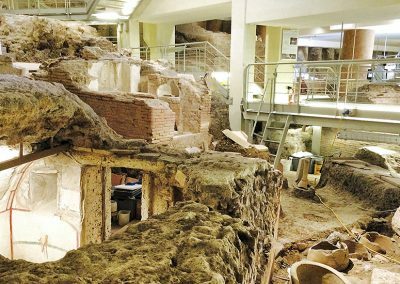 You can still admire part of the ancient urban planning in the neighbourhood of Borgo Pio, located at the back of St. Peter’s Church. This little district features low, historical buildings, narrow streets, gelato shops, bars and local restaurants. The area is also crowded by souvenir shops that convey a funny and cozy atmosphere! When you reach Piazza Risorgimento, on the opposite side of Borgo Pio, you will find a completely different scenario! An elegant neighbourhood called Prati (Grassland), in memory of the lush, green grass that covered the area before renovation works were carried out. Marvel at beautiful buildings in nineteenth-century style, and modern streets such as Via Cola di Rienzo, filled with bars, restaurants and elegant boutiques. The perfect destination for a cool shopping experience! 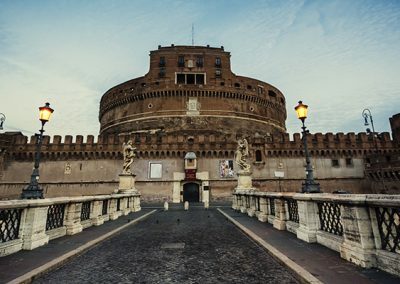 Eventually, the East bank of the Tiber is dominated by the impressive structure of Castel Sant’Angelo, built in the 2nd century A.D as a tomb for Emperor Hadrian and then used over the centuries as a military fortress to eventually become a museum. 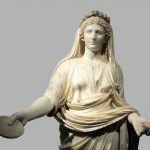 The mystery and the charm of this monument, which origin dates back to 2,000 years ago, has inspired operas such as “La Tosca”, bestsellers such as Down Brown’s “Angels and Demons” and even video games! 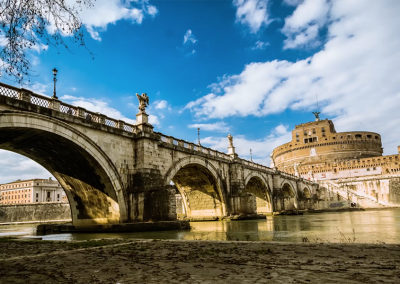 And it was just in “Angels and Demons” by Down Brown that the characters run along the famous Passetto di Borgo, a passage above the street level that connects Castel Sant’Angelo to the Apostolic Palace (now part of the Vatican Museums) and that popes used to escape in case of danger! From Castel Sant’Angelo you can also admire the view of the beautiful Bridge of Angels sculpted by Bernini’s’ followers. How far is the Vatican City from Rome? Even though the Vatican City is an independent state, it is located within the city of Rome. 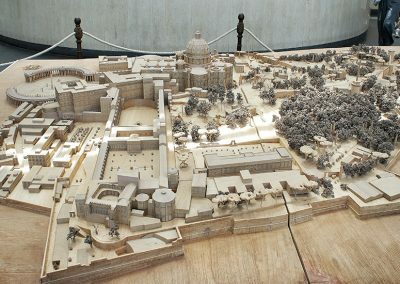 You should think about it as an enclave perfectly merged with the Roman urban context! So, there’s actually no distance between Rome itself and the Vatican City. 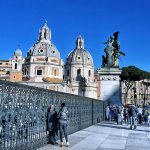 If you consider downtown Rome the area of the Pantheon and Navona Square, which is the historical center of Rome, the Vatican City is just some bus stops far! 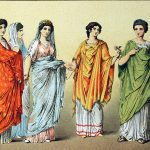 Which is the closest airport in Rome to the Vatican City? The city of Rome has two major airports, Fiumicino International Airport (FCO) and Ciampino Airport. The distance between the Vatican City and Fiumicino Airport is nearly 30 km (19 miles). By car you should reach your destination in 40 minutes. The distance between the Vatican Area and Ciampino Airport is pretty much the same, about 19 km (12 miles). 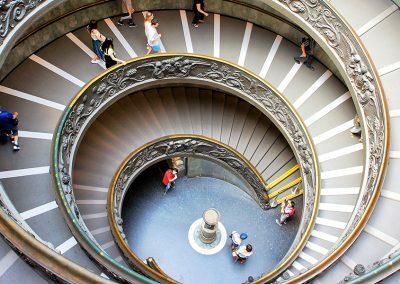 How to get from Rome Fiumicino Airport to the Vatican City? A) Express Train + Metro: this trip includes some metro stops depending on your final destination. Red A Line: Stop “Cipro”, Stop “Ottaviano/San Pietro”, or Stop “Lepanto”. Itinerary: once at Leonardo da Vinci Airport take the Train Leonardo Express. This train leaves from the airport every 30 minutes. The service runs from 6:23 am to 11:23 pm. The ride cost 14€ and can be purchased directly in Fiumicino near the platform. Alternatively, you can take the Local train that leaves from Fiumicino Airport and goes to Trastevere Station. This trip requires 1 train change from the station of Trastevere to St. Peter’s Station (called “Roma S. Pietro”). The taxi station stands just at the exit of Fiumicino Airport at the arrivals. By law you are granted a fixed fee from your ride to the Vatican City which is 48€. However, you must ask the taxi driver before departing you want to take advantage of the fixed fee. Quick tip: if you want to pay with credit car asked the taxi driver before taking the cab. 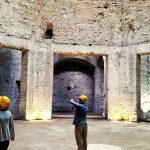 You can take a Bus Shuttle that goes from FCO Airport and stops in Rome City Center. There are multiple companies offering this service right at the exit of Terminal 3.Some of the private companies offering this service stop in Via Crescenzio (which is in the Vatican City Area). Price for one trip is usually 6€, but it might vary depending on the company. You can buy the ticket directly on the bus or purchase it in advance. The Companies offering this Service are Terravision, Contral and SitShuttleBus and many others. 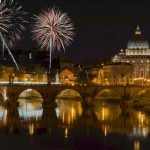 How to get from Ciampino Airport to the Vatican City? The Airport of Roma Ciampino is the second airport of Rome. 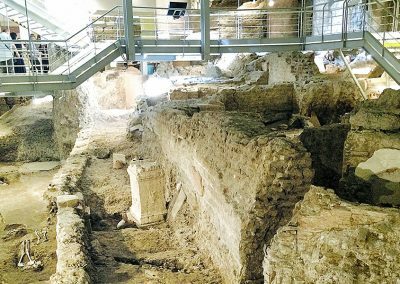 It is located south east Rome. Opposite to Fiumicino, there’s no station in Ciampino Airport. Hence, the only two possibilities to reach the city center and the Vatican Area are the Taxi and the Bush Shuttle. A) Taxi: at the arrivals you will easily find the taxi station. Price for the ride to the Vatican City area and for all the destinations within the Aurelian Walls is 30€. You must ask the taxi driver before departing you want to take advantage of the fixed fee, otherwise he will start running the taxi meter and you will pay accordingly. Quick tip: if you want to pay with credit car asked the taxi driver before taking the cab. B) Bus Shuttle: You can take a Bus Shuttle that goes from Ciampino Airport and stops in Rome City Center. There are multiple companies offering this service. At the arrivals and also before at the exit of your gate you will see the stands of the companies. You can purchase the tickets there and ask for the closest stop to your final destination in the Vatican Area. You can buy the ticket directly on the bus or purchase it in advance. The Companies offering this Service are Terravision, Schiaffini Travel, Contral and SitShuttleBus. 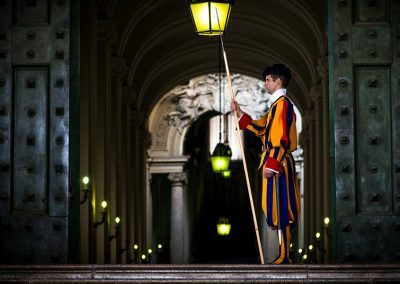 How much is the taxi from Rome airports to the Vatican City? Taxis can be the fastest way to reach the city center of Rome and so the Vatican City Area from both the Airport of Ciampino and Fiumicino. The first important thing you have to learn, is how to recognise official taxis. Official, licensed Roman taxis are white, with a sign on the roof and the driver’s license information on the door. Taxis are not cheap in Rome and the ride from Rome airports to the Vatican City Area is not a short one. 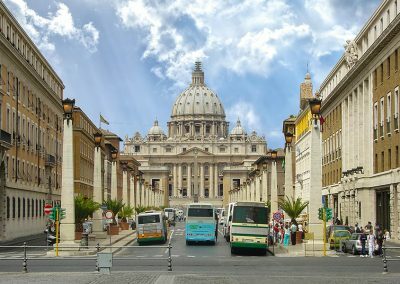 However, there’s a fixed fare established by Rome City Council that allow you to reach the Vatican City from Fiumicino Airport for 48€ and from Ciampino Airport for 30€. According to the City Council Resolution fixed fares are inclusive of all extra charges. However, you must ask the taxi driver before departing you want to take advantage of the fixed fee. Quick tip: if you want to pay with credit car asked the taxi driver before taking the cab.